As a Scrum Master guides the growth of a Team, adding a thought leader's expertise in the Scrum framework and a broad toolkit of techniques can prove beneficial-- That’s where a Scrum Coach comes in. Sometimes, a group of Scrum Masters needs help to align their teams on common agreements. Other times, senior leaders want to design their organizations to support Scrum more effectively. 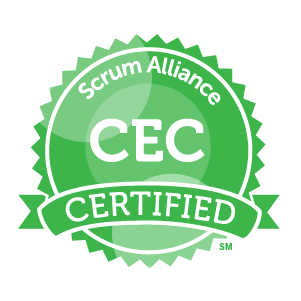 Scrum Alliance Certified Enterprise Coaches (CECs) are experts in Scrum, both in theory and practice. They have in-depth understanding of the practices and principles of Scrum, and real-world experience with actual organizational Scrum transformations. Certified Team Coach (CTCs) work with Scrum Teams, stakeholders, and management to improve performance and outcomes. Connect with one of the industry's top Agile and Scrum certified coaches.